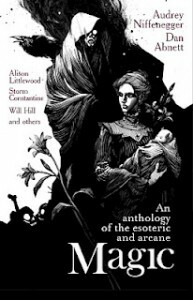 The full table of contents for a new anthology, Magic: An Anthology of the Esoteric and Arcane, has been released. I’m happy to be in such stellar company! It’s edited by Jonathan Oliver and published by Solaris. The anthology is due for release in October on both sides of the Atlantic, but is already available for preorder.